It is with a great honour and privilege that we will welcome Mr. Yasunori Nakayama, Consul-General of Japan in Toronto to speak to us. At this luncheon meeting, Consul-General Nakayama will talk about the Foreign Direct Investment in Ontario and business opportunities in Japan. 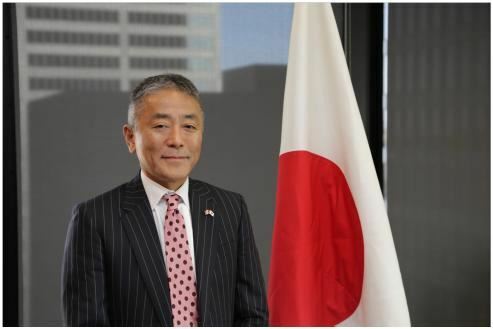 Mr. Yasunori Nakayama assumed the post of Consul-General of Japan in Toronto on September 8, 2014. He joined Japan’s Ministry of Foreign Affairs 33 years ago, and has since experienced postings abroad in the UK, Germany, Indonesia, Belgium, the Philippines and Switzerland. Mr. Nakayama graduated from the Faculty of Law at Tokyo University. Just prior to coming to Toronto, he served as the Deputy Director-General for International Trade Policy, working in the Ministry of Economy, Trade and Industry to engage in trade negotiations and assist Japanese companies in their overseas activities. How to register: Please email your name, organization, and title to admin@japansocietycanada.com by Friday, March 10, 2017. We are very pleased to advise that this presentation is being hosted by The Japan Society, with the co-operation of the Japan External Trade Organization, the Canada–Japan Society of Toronto, The Japan Foundation and the Toronto Japanese Association of Commerce and Industry.